If you were to spend any time reading the book of Kings and Chronicles in the Old Testament you would feel that you were at a tennis match watching the ball go back and forth across the net. One king would do what was right in the eyes of God and then the next king would worship the baals. What is astonishing is that the kings were all related. A father would put things right, and the son would return to doing evil. 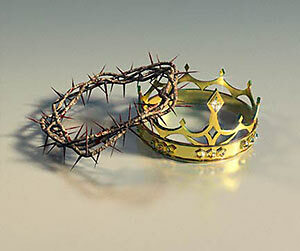 Even the kings who did do right in God’s eyes had their moments of transgressions against God. Two kings caught my attention while reading 2 Chronicles. The first one was Ahaz. Ahaz was the son of Jotham. During Jotham’s reign he did what was right, but the people still “followed corrupted practices.” Ahaz would have been around 4 years old when his father became king, so he grew up knowing what his father had done and seen how upright and God fearing his father was during his reign. But Ahaz did not seem to remember any of this once he became king. Ahaz went so far as to sacrifice his own sons to the baals and to make metal idols for the baals and would burn “sacrifices under every tree.” This is significant because he closed-up the doors of the temple, the only place where sacrifices were to be made. Because of Ahaz’s evil actions, Judah suffered. When Ahaz died, his son Hezekiah became King. Just as his father had done, Hezekiah grew up with his father being king. But there was a big difference between Ahaz and Hezekia. Hezekiah was a righteous king. Hezekiah’s first order of business was to open and repair the temple. Before he did anything else, he began the process of returning Judah back to the God of their fathers. After the temple was opened and repaired, the priest were reassembled and consecrated. Temple worship began again and for the first time in many years the Passover was celebrated. Because of Hezekiah’s righteousness, Judah prospered and Hezekiah prospered along with it. When Sennacherib king of Assyria came to defeat Judah and Jerusalem, God sent an angel to defeat Sennacherib’s army. I am sure that if Hezekiah had not retuned Judah to the worship of the True and Living God Sennacherib would have destroyed Jerusalem at that time. Even though Hezekiah was a good and righteous king he still suffered from pride and had to repent for his pride. As 2014 begins to move forward, I have to wonder if there are idols in our life that we need to eliminate. You see, many of the problems we have in our lives, the addictions, hangups, and attitudes are actually problems of worship. We worship ourselves and the things, both physical and non-physical, in our life above God. We have shut the doors of the temple and we worship under every tree just as Ahaz did. We need to be like Hezekiah and throw open the temple doors and repair our relationship with God. In our pride, we need to be humble and repent. It is time to clean our house out and put our priorities straight.